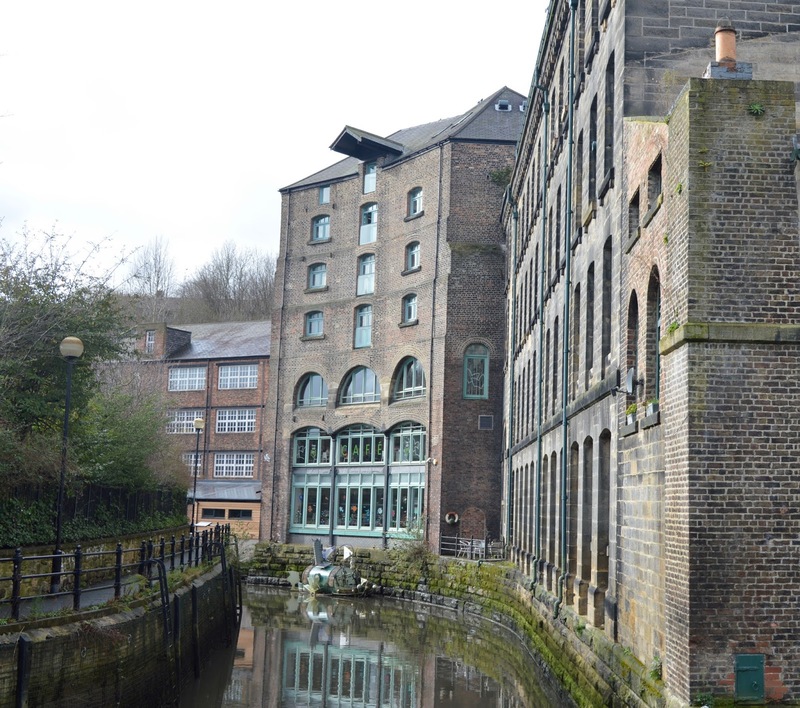 Seven stories is a fascinating building situated in Ouseburn. It has 7 floors, and you enter the building on the 3rd floor. From the outside, you don't expect there to be so many floors or for it to feel so big! It's fairly easy to find even by public transport which is what we did. We got the bus into Newcastle and then another bus from there into Ouseburn. When we arrived, we were greeted by a lovely member of staff in the main entrance area who was very friendly. She offered to give us a map, but we decided to wing it! She talked to Freyja about the teddy bear she brought with her and told her all about their other exhibition - Bears! We came prepared! First we decided to check out the Comics exhibition, which you’ll find on the 4th floor. The room is separated into 6 areas to explore - Story, Characters, Settings, Props and Powers, Style and Comic Hub. In the Story area, there is a large colourful table and next to it, 3 boxes of coloured wooden letters. Choose an adjective, a noun and a story type to create an idea for a story! Choose them at random for a silly story! 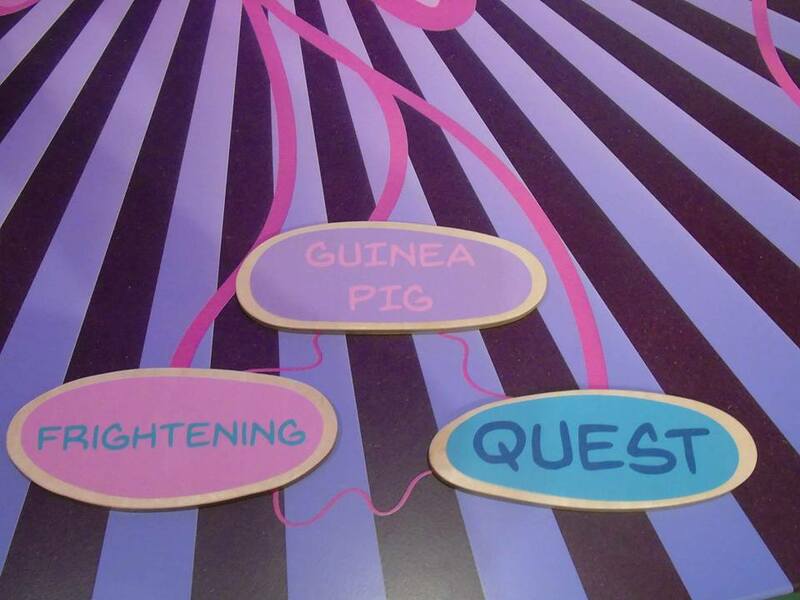 Will you end up creating a frightening guinea pig quest? Or will you create a creepy frog legend? Who knows! Next up - Characters. In this area you'll be able to create your own character by turning the blocks to create different characters. We made a viking mermaid! In the next part of the room, Setting, you’ll find a large spinner to choose the setting for your story. Or choose your own! Also in here there are little boxes with interchangeable backdrops and lots of little figures for you to create your own story. Freyja enjoyed this part because it was kind of like playing with her dolls house. The next part, Props and Powers, was definitely Freyja’s favourite part. You spin the wheel to select a superpower, and then hit the green button to transform! So with the hit of a button, Freyja was invisible! In Style, there are lots of photos on the wall of comics and information about different illustrators. 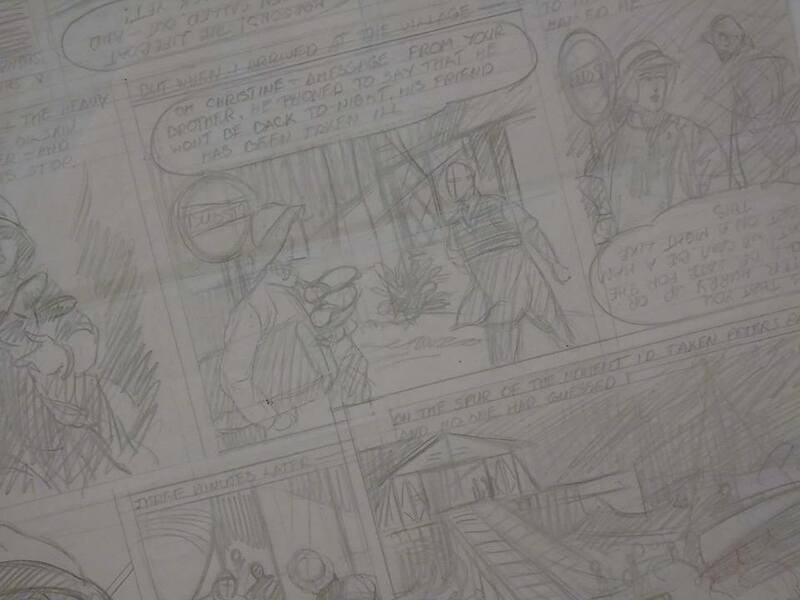 You’ll find a table with paper and pencils for you to have a go at creating your own comic. You can take inspiration from the information and photos on the wall or design your own. 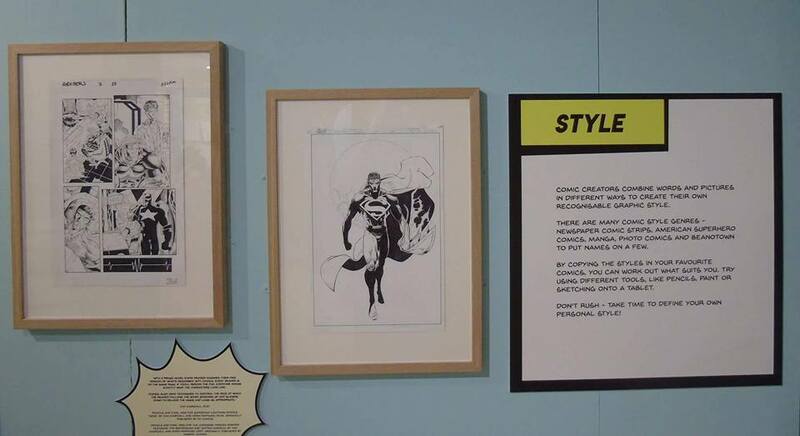 Last but by no means least, you’ll finish your tour of the exhibition in the Comic Hub. 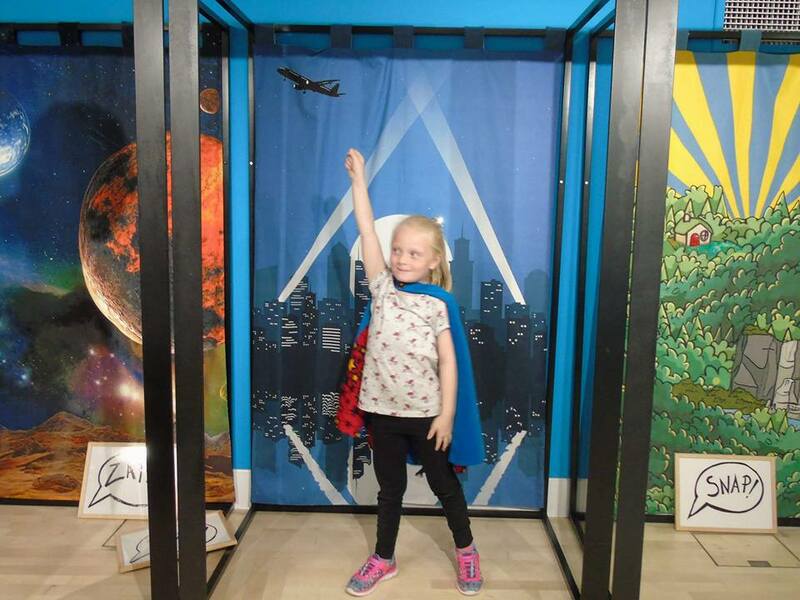 There are superhero masks and capes just waiting to transform you into a superhero! Then, pose for a photo in the comic book style backdrops. We had lots of fun in here! What I love about this exhibition is how interactive and hands on it is - there are so many things to explore in just 6 areas. On the 5th floor, you’ll find the Bears exhibition. We also loved it in here. 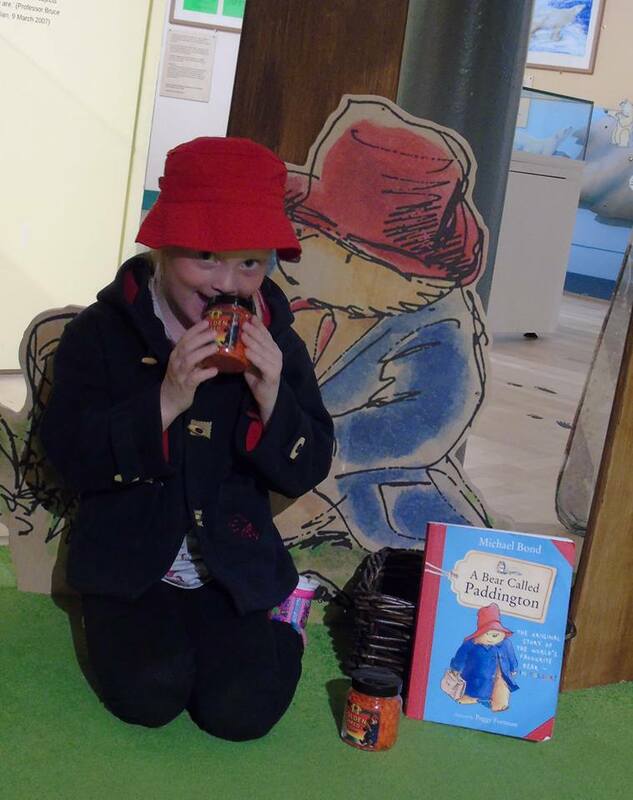 Freyja dressed up as Paddington bear! 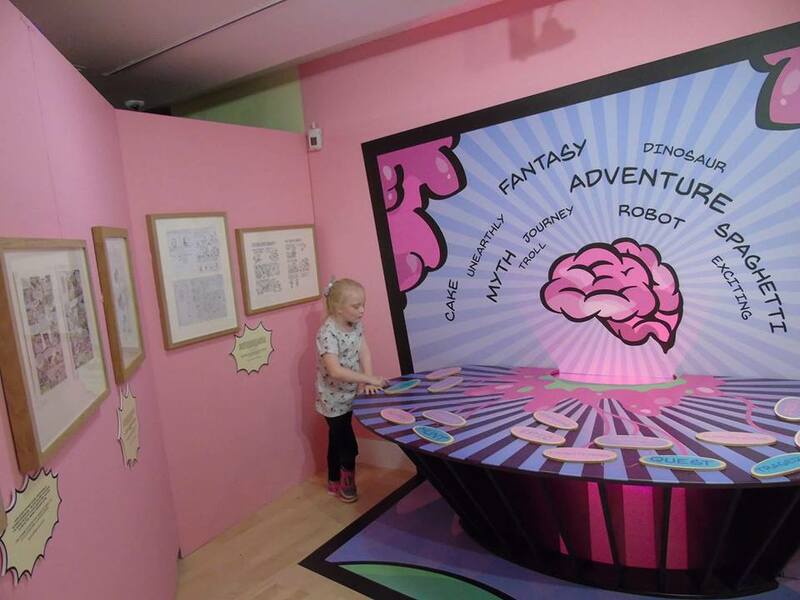 On the 6th floor, you’ll be rocketed into space to explore the story of Aliens Love Underpants! Sit on the moon, dress up as an alien and even help to hang up the underpants on the washing line. On the 7th floor is the Attic. This room is magical. It’s so inviting when you walk in with colourful chairs, twinkly fairy lights. There are also storytimes and performances throughout the day in here so check those on the day of your visit. I’ve been to Seven Stories before, and I am always impressed with how family friendly it is. 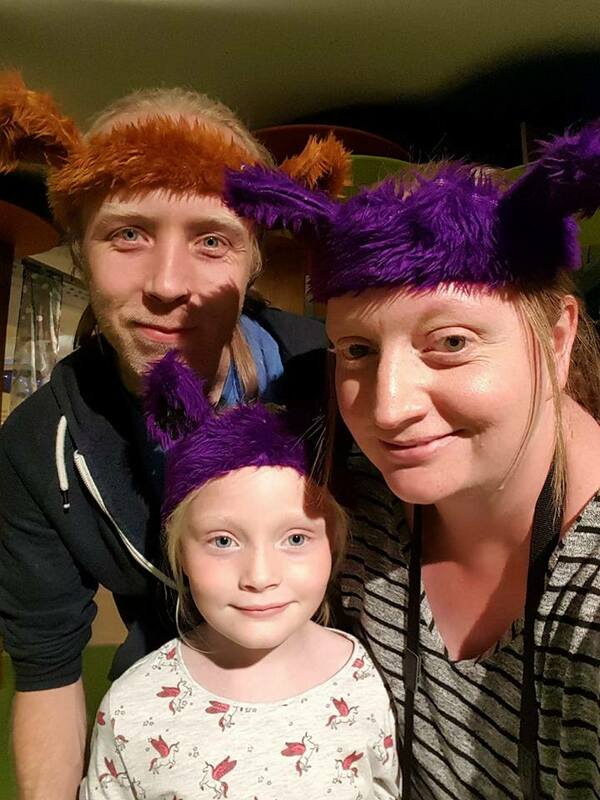 Seven Stories go above and beyond to cater for families with children of all ages. On the 1st floor you’ll find lockers to save carrying bags around with you. A buggy room to store your buggy. And a picnic room with tables and chairs for your to eat your own lunch. You can of course eat in the cafe at Seven Stories, but some people, like we did, prefer to bring their own lunch so I love that they cater for this. I loved our visit to Seven Stories and no doubt with be back again soon. Thanks Amanda, it sounds like the new Comic Exhibition is a real hit! We are huge comic book fans in our house so will definitely pop by at some point. Seven Stories is open Tuesday - Sunday. Visit the Seven Stories website for ticket info, opening hours and more information. You can read our full review of the Bears Exhibition here. This looks really great fun and very interesting. I've still never been to Seven Stories!